Even with a DeMar DeRozan groin injury in the third quarter, the Toronto Raptors hung tough with the Dallas Mavericks on Friday night. Toronto watched their six game winning streak come to an end as Dallas came out victorious in the 106-102 win at the ACC. Monta Ellis had 30 points for the Mavs. It was another throwback night with the return of the purple jerseys and it was another opportunity to honour another Raptor alumni, Jalen Rose. The Michigan native played for the Raptors from 2004-2006 playing 177 games for the Raps. 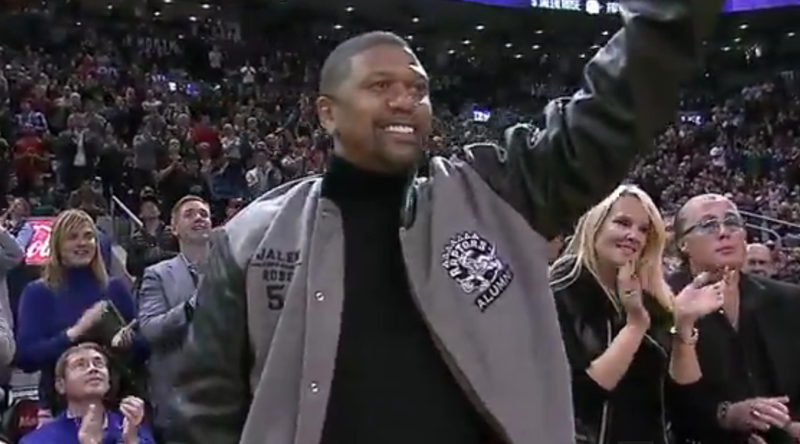 What was your favourite Jalen Rose moment as a Raptor?